Between 6 and 8 million dogs and cats enter shelters every year, according to the Humane Society of the United States. So it’s natural to be concerned that your dog might walk out the gate and never return. Ensure that your pup won’t stray far, or will be easy to found if he does, with a GPS tracking device. While there are variations between pet GPS locators, they all have one basic feature in common: a small GPS receiver that attaches to your dog’s collar. Most receivers are too large or heavy for smaller breeds of dogs, or cats for that matter, but they shouldn't prove too cumbersome for dogs that are 20 pounds or larger. 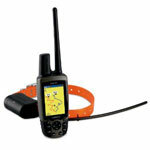 To let you know where your dog is, the GPS receiver on the collar must send its location to you. Some models are paired with cell-phone radios that update your pet's location over the Internet and others use shorter range dedicated radios that must be within a few miles for you to track your pet’s location. Most GPS locators let you set up safety zones, boundaries that will trigger alerts if your dog walks outside of them. With the Zoombak locator we recommend, you just set a marker on a map to establish a circular safety area surrounding the marker. Get text or e-mail alerts when your pet strays outside of a safety zone, or set up the receiver to send frequent updates so you can see his movements throughout the day on a map. To receive email and text alerts, you’ll have to select a product with a service plan, similar to a cell phone plan. Otherwise the locator will only work within a few miles of your pet. 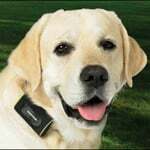 Zoombak Advanced A-GPS Dog Locator ($100, $14.99 per month) Zoombak will not only send you alerts if your dog wanders from the predefined safety area, but also if the battery in the collar runs low. 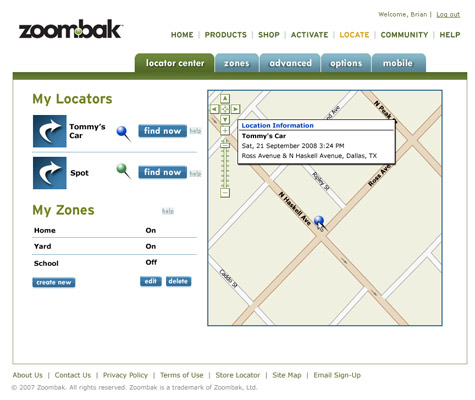 Be sure to check the coverage map (the service uses the T-Mobile network), since Zoombak uses a cell phone radio to send alerts. Garmin Astro ($600) The Astro from Garmin is geared toward hunters, but the device is just as handy for those who spend a lot of time in the great outdoors. While you can't set boundaries or alerts, if your dog runs off while hiking it can help you track it down from up to seven miles away. 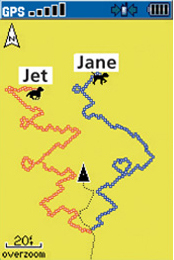 I know this idea may seem tacky commenting on a pet gps page. But I am really looking for info on Child GPS. I see your site does not have any info. Cost, how to approach it, pros & cons etc.. Losing your dog can be a tragic event. GPS locators will surely keep you alerted of your pet’s whereabouts. Also, this GPS Pet Tracking System helps in giving a head start to find and bring your pet safely when it strays out. Ronald, thanks for suggesting me Spotlight GPS tracking system for my Dog. It’s been a very helpful to us providing continuous updated about our dogs whereabouts and restricting him from wandering away.